If you are in the “sustainability circle” in West Michigan you’ve probably met or at least heard of Renae Hesselink of Nichols. Some may even refer to her as the Grandmother of Sustainability around these parts. Her dedication to making our community a great place to live, work and play is impossible to miss and she spends countless hours helping non-profit organizations by giving her time and energy to community and green building projects. Renae has been one of USGBC’s most vocal advocates in the area of LEED and Green Buildings. In addition to her founding role with the West Michigan Chapter, her work as the Green Schools Advocacy Committee Chair led to the the addition of a Green Schools Fellow at the Grand Rapids Public School District. Renae co-led the committee that wrote the Green Buildings of West Michigan book and serves on the Michigan Battle of the Buildings Committee spreading the word on energy efficiency. Renae practices what she preaches administering the LEED for Existing Buildings Gold certification at Nichols back in 2010 and the recent recertification of LEED v4 Operation & Maintenance which Nichols has submitted and is undergoing the review process. But it doesn’t end with her professional accomplishments. In 2014 she installed 5 KW solar PV system in her home and is committed to proving that solar works in Michigan. She reports her energy through a dedicated Facebook page and hosts open houses so people can see the system in action. 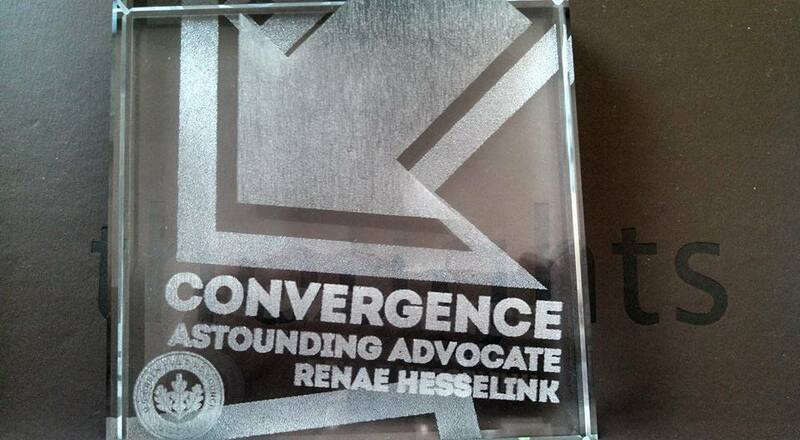 Renae’s service has not gone unnoticed by the USGBC West Michigan Chapter or the USGBC national organization and on Monday, June 29, 2015 she was awarded the USGBC Astounding Advocate Award in front of 350 of her USGBC peers at Convergence in San Diego, CA. The Convergence Awards recognize outstanding volunteer leaders whose dedication to the USGBC’s mission and vision provide direction and inspiration for our global volunteer community. Thank you Renae! We are proud and thankful to have you on our team! !